You are staffing your company with some rising talent and are excited to find out more about potential candidates on a personal level. One inquiring question might be, “So, are you married?” The candidate blurts out, “I’m so excited, my fiancÃ© and I are getting married this June.” This news you want to know as an employer because you’re thinking: what if she wants to start a family soon after? Maternity leave could mean that we’d have to hire a temp. It might be better to look at other candidates. Can you ask that? No. it is not politically correct and it is in fact illegal for employers to ask about a candidate’s family plans (marriage, engagement, and child planning), among a host of other issues, according to Peter K. Studner, many interviewers and candidates don’t know that. 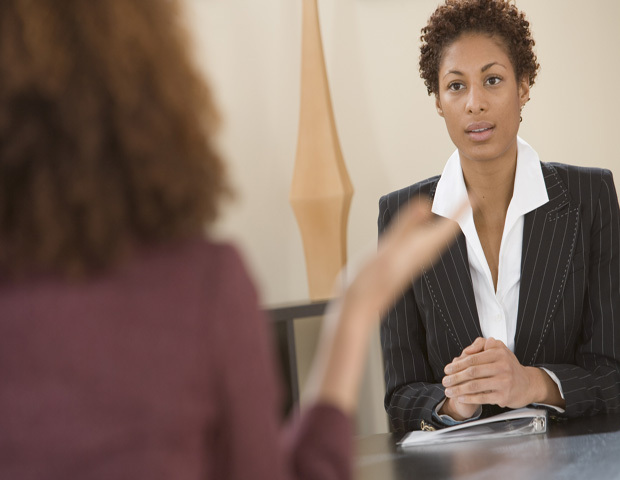 Many human resources personnel aren’t aware that they’re asking illegal questions–and just as many candidates aren’t aware they’re answering them. “Most interviewers haven’t had formal training on what questions border on improper or are illegal, and as a result, interviewees often volunteer ‘wrong’ answers and too much information,” says Studner, author of Super Job Search IV: The Complete Manual for Job Seekers & Career Changers. A good answer to ‘Are you married?’ would be, ‘I have a good social life and am focused 100 percent on moving my career forward,'” he explains.. In Super Job Search IV, Studner, whose outplacement firm has helped over 27,000 people receive offers, guides readers through the complicated process of conducting a targeted and ultimately successful job search campaign. Best of all, Super Job Search IV isn’t “just” a book–it’s a systematic approach to finding a job that includes online resources and an app. 1. How old are you? It’s illegal for employers to ask a candidate’s age unless they’re trying to determine whether or not a candidate is a minor. 2. When did you graduate college or high school? This is a more sneaky way for employers to fish for your age–and it’s still illegal. 3. How’s your health? Employers have the right to determine if a candidate is physically able to perform the functions of the job for which he or she is applying. But beyond that, a candidate is not obligated to reveal any health issues. 4. What’s your religion? Do you observe any religious holidays? Any question that asks a person to reveal his or her religion is illegal. 5. Do you have a criminal record? It’s legal for employers to ask if a person has been convicted of a crime on job applications and in interviews. Employers can’t ask about an arrest record–but that doesn’t mean they can’t do independent research or criminal background check, either.